Thanks, the civil lawsuit and settlement was so quick that I forgot. I guess we can BLAME Mosby for the 6.5 million lost... if not for her false claims I cant imagine there being such a large settlement. 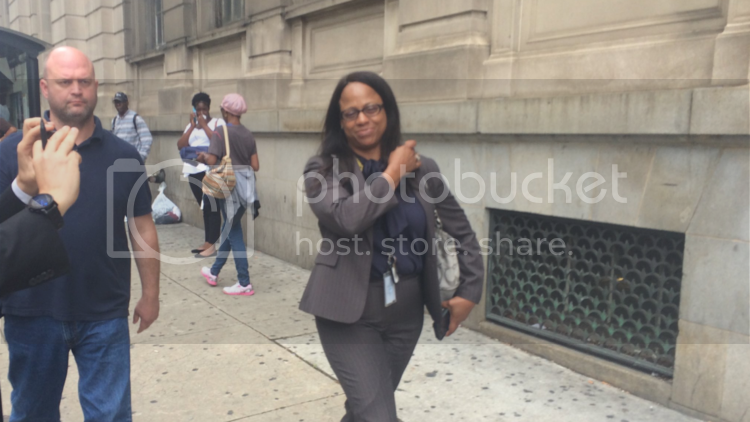 The lead Baltimore police detective in the Freddie Gray investigation said she reluctantly read to grand jurors a summary of evidence provided by prosecutors that she believed was misleading, according to police records reviewed by The Baltimore Sun. Hours later, the grand jurors issued criminal indictments against six police officers in the arrest and death of Gray. Detective Dawnyell Taylor said in a daily log of case notes on the investigation that a prosecutor handed her a four-page, typed narrative at the courthouse just before she appeared before the grand jury. "As I read over the narrative it had several things that I found to be inconsistent with our investigation," Taylor wrote, adding: "I thought the statements in the narrative were misquoted." But, she wrote, she was "conflicted" about challenging the state's attorney on the narrative in the courtroom. "With great conflict I was sworn in and read the narrative provided," she said in her notes. When the jurors asked questions, including whether Gray's arrest was legal, Taylor wrote that prosecutors intervened before she could give an answer that would conflict with their assessment. The claims in her account underscore a rift between prosecutors and police that began in the spring of last year, when the two agencies worked together on parallel tracks to investigate Gray's death. Hard to see the reason for the RUSH to settle? Hard to see the reason for the RUSH to settle? Pure and simple extortion, IMO. I guess we can BLAME Mosby for the 6.5 million lost... Exactly. Remember the Gray family attorney donated to and worked on Mosby's campaign. BALTIMORE —Baltimore City officials are expected approve back pay for one of the officers charged in the death of Freddie Gray. The Board of Estimates is scheduled to meet Wednesday and is expected to approve a payment of more than $87,700 for Officer Caesar Goodson. Goodson was suspended in May 2015 as a result of being charged with a felony in the case. He started getting paid again the day after he was acquitted last month. The payment up for approval on Wednesday is for the nearly 13 months he went without being paid. BALTIMORE —Baltimore City officials approved back pay for one of the officers charged in the death of Freddie Gray. The Board of Estimates voted Wednesday to approve a payment of more than $87,700 for Officer Caesar Goodson.